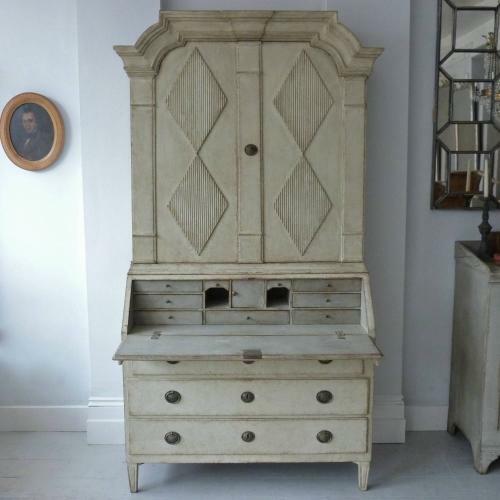 A superb example of a late 18th century Gustavian period secretaire with distinctive pediment cornice crest and diamond reeded carvings to the upper doors and drop leaf desk. The desk interior has a darker contrasting colour and beautiful aged patina. Swedish circa 1790.